This is a beautiful 22" round glass table top that can be used as a table cover to protect an existing table's surface or it can be placed on a pedestal to create an instant side table. (Glass table top only). Round glass table tops available in many sizes including: 12", 14", 16", 18", 20", 22", 23", 24", 25", 26", 27", 28", 29", 30", 31", 32", 33", 34", 36", 37", 38", 39", 40", 42", 44", 46", 48", 54", 56", 60", 72". 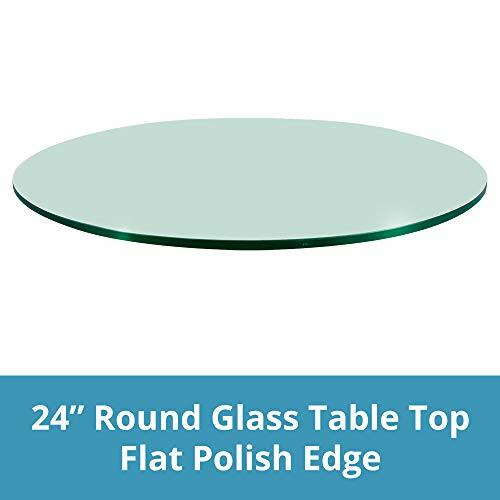 Our simple circular 24 inch tempered glass table top is a perfect piece for a bathroom, powder room, side table, office or something in your dining or living room. The circle glass piece offers 3/8 of an inch thick tempered glass with a subtle downward sloping 1 inch bevel around the circle edge. The glass is finished with a rounded polished edge removing any sharp edges or dangerous pieces. The glass top can go on top of a wooden, tile or stone base or be used alone with a metal frame as a coffee table or side table glass. We offer an affordable, simple, clean look with our premium 3/8 thick 24" wide glass table top with a satisfaction guarantee. We stand by our products and your happiness with a 100% money back guarantee. USA Company with 3 Generations of Family Values. EXCEPTIONAL QUALITY: Our 24" Round Glass Beveled Table Tops are manufactured with premium materials and through a superior process not found in other lesser quality glass tops. Our circular tempered glass tops are made to strict trade-secret standards and pass a rigorous 8 point inspection. SOPHISTICATED DESIGN: A 24 Inch Crystal Clear Glass Circle is surrounded by an elegant 1 inch bevel to add depth and dimension to the glass. The glass is 3/8 thick with smooth rounded edges. SAFE AND EASY TO INSTALL: Our authentic glass sheets are tempered to prevent breaking and increase the strength of the glass up to 4 times that of annealed glass table tops. All edges are smooth polished for added safety. 3 GENERATIONS OF EXCELLENCE: Our family has been manufacturing and producing glass and mirrors for over 3 generations. We stand by the quality of our product and your experience. A family owned business with simple principles. Affordable quality in America. 100% MONEY BACK GUARANTEE: Order our Hamilton Hills tabletops and see for yourself. If you don't absolutely love our product, let us know and receive a full, no questions asked refund. We are a family owned business that stands by your happiness. This 24'' round glass table top features 1/4" thick tempered glass with a flat polished edge. Round glass table tops available in many sizes including: 12", 14", 16", 18", 20", 22", 23", 24", 25", 26", 27", 28", 29", 30", 31", 32", 33", 34", 36", 37", 38", 39", 40", 42", 44", 46", 48", 54", 56", 60", 72". 16 inch round clear glass table top can be used as a table top to protect a desk, patio table,surface of an existing table,coffee table and Bed Side table. 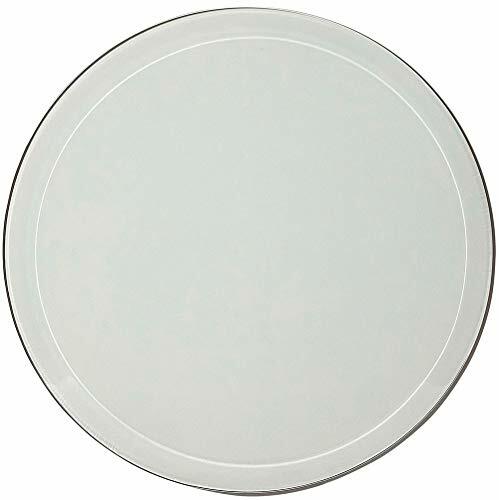 Our simple circular 18 inch tempered glass table top is a perfect piece for a bathroom, powder room, side table, office or something in your dining or living room. 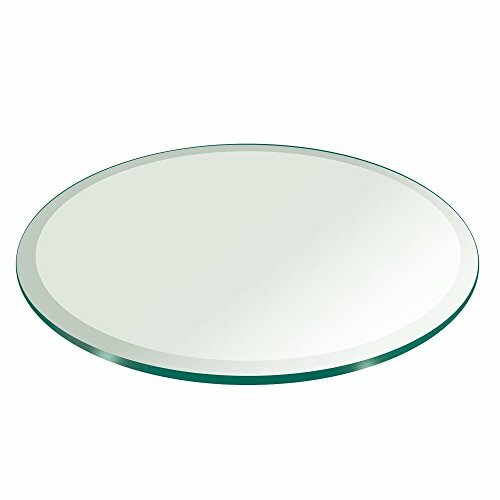 The circle glass piece offers 3/8 of an inch thick tempered glass with a subtle downward sloping 1 inch bevel around the circle edge. The glass is finished with a rounded polished edge removing any sharp edges or dangerous pieces. The glass top can go on top of a wooden, tile or stone base or be used alone with a metal frame as a coffee table or side table glass. We offer an affordable, simple, clean look with our premium 3/8 thick 18" wide glass table top with a satisfaction guarantee. We stand by our products and your happiness with a 100% money back guarantee. USA Company with 3 Generations of Family Values. EXCEPTIONAL QUALITY: Our 18" Round Glass Beveled Table Tops are manufactured with premium materials and through a superior process not found in other lesser quality glass tops. Our circular tempered glass tops are made to strict trade-secret standards and pass a rigorous 8 point inspection. SOPHISTICATED DESIGN: An 18 Inch Crystal Clear Glass Circle is surrounded by an elegant 1 inch bevel to add depth and dimension to the glass. The glass is 3/8 thick with smooth rounded edges. 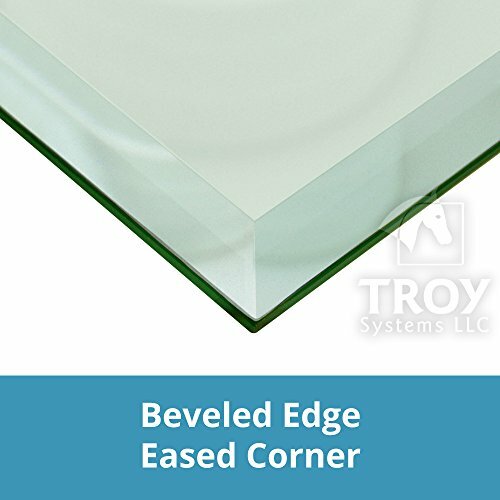 Beveled edges are produced on specialty machinery at various widths dependent on glass thickness. They are suitable for mirrors, furniture, feature and decorative panels. With our high tech beveled glass products, a beautiful and decorative touch can be added to mirrors, tabletops, glass panels in doors and feature mirror walls and panels. Tempered (toughened through a process of extreme heating and rapid cooling during manufacturing process) glass is two or more times stronger than annealed glass. When broken, it shatters into many small fragments which prevent major injuries. This type of glass is intended for uses requiring superior strength and safety properties while standard glass could pose potential risk of injuries. 46 inch round clear glass table top can be used as a table top to protect a desk, patio table,surface of an existing table,coffee table and Bed Side table. This is a beautiful square glass table top, 1/2 inch thick can be used as a table cover to protect surface of an existing table, desk, patio table, or coffee table. It can be placed on a pedestal to create an instant large table. 12 inch round Clear glass table top can be used as a table top to protect a desk, patio table, surface of an existing table, coffee table and Bed Side table. Our simple circular 36 inch tempered glass table top is a perfect piece for a bathroom, powder room, side table, office or something in your dining or living room. 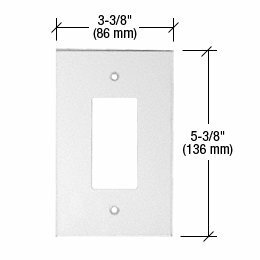 The circle glass piece offers 3/8 of an inch thick tempered glass with a subtle downward sloping 1 inch bevel around the circle edge. The glass is finished with a rounded polished edge removing any sharp edges or dangerous pieces. The glass top can go on top of a wooden, tile or stone base or be used alone with a metal frame as a coffee table or side table glass. We offer an affordable, simple, clean look with our premium 3/8 thick 36" wide glass table top with a satisfaction guarantee. We stand by our products and your happiness with a 100% money back guarantee. USA Company with 3 Generations of Family Values. EXCEPTIONAL QUALITY: Our 36" Round Glass Beveled Table Tops are manufactured with premium materials and through a superior process not found in other lesser quality glass tops. Our circular tempered glass tops are made to strict trade-secret standards and pass a rigorous 8 point inspection. SOPHISTICATED DESIGN: A 36 Inch Crystal Clear Glass Circle is surrounded by an elegant 1 inch bevel to add depth and dimension to the glass. The glass is 3/8 thick with smooth rounded edges. Our round glass table tops are made of high quality tempered or annealed glass in your choice of shape, size, glass thickness, and edge finish. Round glass table tops are suitable as a top for an existing pedestal or can also be used to sit inside a frame or for a patio table top. If you're doing that, you'll want to choose a table with a flat polish edge. Or, use as a table cover. In this case, the edge will be visible, so be sure to choose a nice edge like a beveled edge or a polished edge. This is a beautiful 32" inch round glass table top that can be used as a table cover to protect an existing table's surface or it can be placed on a pedestal to create an instant side table. Our round glass table tops are available in many sizes. Features Shape: Round Size: 32" Inch Thickness: 1/4 Inch Strength: Annealed Edge Work: Flat Polished Glass Type: Clear Glass High quality Glass Get a high-quality glass with professionally finished edges, available in every size and shape you need. Manufactured by Troy Systems. Risk-Free Guarantee: We are so confident that you will be thrilled and totally satisfied with your Troy Systems glass product that if we re wrong, we ll give you your money back. If you aren't overjoyed with your product and the results, we'll give you a full refund, no questions asked. 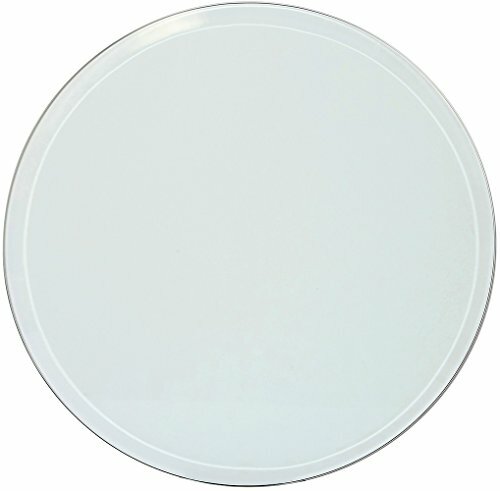 ROUND GLASS FOR TABLE TOP: Our round glass table top is 32" L & 1/4" inch thick. Used as a glass table top or glass table cover for an existing table or base. Use our glass table top in several different ways. TEMPERED, ANNEALED, AND THICK ROUND GLASS: Our table tops are made of high quality tempered or annealed glass, in your choice of shape, size, glass thickness, and edge finishes. Our tempered round glass gets toughened through a process of extreme heating and rapid cooling during its manufacturing process. 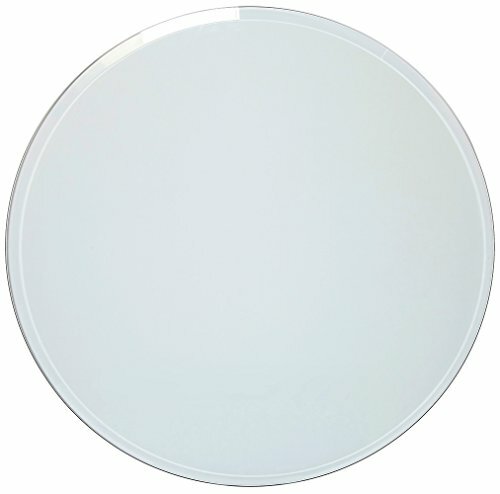 CLEAR & FLAT POLISHED GLASS: This round glass is made from 1/4 thick tempered clear glass with flat polished edges. Every effort is made to hold your preferred dimensions for your glass table top or glass table cover to the size ordered with no air bubbles or other scratches and blemishes. MULTIPLE WAYS TO USE: This type of glass is made for its superior strength and safety properties. You can use it in various applications such as a dining table, coffee table, in home, or at the office. You can also use round glass table tops to sit inside a frame, as a patio table top, or as a table cover. 100% SATISFACTION GUARANTEED: With FREE shipping and guaranteed in-one-piece delivery to your door, table tops from TroySys are the best way to get what you need, fast! Get the high-quality glass with professionally finished edges, available in every size and shape you need. Beveled edges are produced on specialty machinery at various widths dependent on glass thickness. They are suitable for mirrors, furniture, feature and decorative panels. With our high tech beveled glass products, a beautiful and decorative touch can be added to mirrors, tabletops, glass panels in doors and feature mirror walls and panels. Tempered glass is a safety glass , it is 3-5 times stronger than annealed glass . 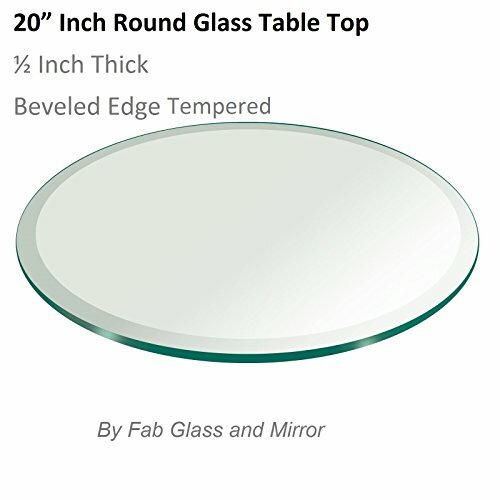 20 inch round clear glass table top can be perfect if you are searching for a flat surface that may not stain. The table top comes with Beveled Edge with 3/4 inch thickness and available in different sizes from 12 inches to 60 inches. 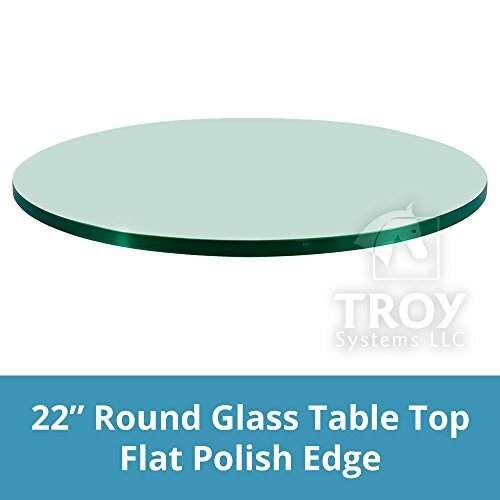 20" with 1" Beveled Edge Tempered 1/2" thick round clear glass table top can be used for Office tables, Lobby tables, business meetings tables , Dining tables, Kitchen Tables, desk , patio table or a coffee table. Office tables, Lobby tables, business meetings tables , Dining tables, Kitchen Tables, desk, patio table or a coffee table. 20" 1 inch Beveled Edge Tempered 1/2 thick round clear glass table top processed to be as close to perfect as possible through a curing process yields no air bubbles. Tempered (toughened through a process of extreme heating and rapid cooling during manufacturing process) glass is two or more times stronger than annealed glass. When broken, it shatters into many small fragments which prevent major injuries. This type of glass is intended for uses requiring superior strength and safety properties while standard glass could pose potential risk of injuries. Beveled edges are produced on specialty machinery at various widths dependent on glass thickness. 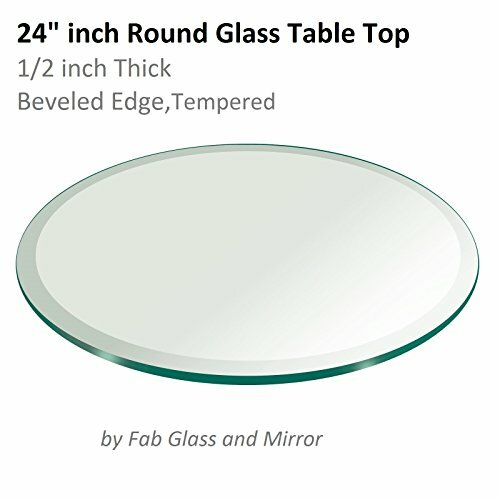 this 20" has 1 inch Beveled Edge 1/2" thick round clear Tempered glass table top are suitable for mirrors, furniture, feature and decorative panels. With our high tech beveled glass products, a beautiful and decorative touch can be added to mirrors, tabletops, glass panels in doors and feature mirror walls and panels. Beveled edges are produced on specialty machinery at various widths dependent on glass thickness. They are suitable for mirrors, furniture, feature and decorative panels. With our high tech beveled glass products, a beautiful and decorative touch can be added to mirrors, tabletops, glass panels in doors and feature mirror walls and panels. Tempered glass is a safety toughened glass which is 5 times stronger than regular glass.